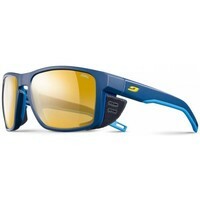 JULBO - Montres, Accessoires femme JULBO - Livraison Gratuite avec Spartoo.com ! Norby Visor Noir 2 Ecrans..
Snoop Xs Blanc Ecran Brun.. Shore Noir Mat Spectron 3..
Luna Noir Zebra Flash Gold..
Snoop Xs Bleu Ecran Brun..
Bang Next Otg Noir/rouge Snow..
Sniper Medium Blanc 3 écrans..
Snoop Xs Noir Ecran Brun..
Atmo Bleu Cyan Orange Flash..
Elara Blanc Or Zebra Light..
Nautic Race 2.0 Noir Mat.. Plasma Otg Noir Orange Flash..
Sniper Large Noir Zebra Light..
Aero Vert/bleu Spectron 3 Cf.. Dirt 2.0 Noir Mat Cameleon..
Loop L Bleu/gris Clair Sp4..
Universe Bleu Cyan Flash Bleu..
Trip Noir Mat Polarized 3..
Loop L Corail/rose Fonce Sp4..
Elara Noir Zebre Zebra Flash.. Stream Noir Blanc Spectron 3..
Titan Blanc Zebra Flash Gold..
Trip Army/bleu Spectron 3 Cf..
Camino Noir Mat/gris - Zebra..
Atmo Noir Orange Flash Fire..
Whoops Noir Mat Cameleon Nxt.. Dirt 2.0 Noir Mat Zebra..
Luna Blanc Strass Zebra Flash..